These days there are more than a few ways to listen to free music online that one could become slightly overwhelmed by the choices. We’ve done a quick run up for some of the music services out there that works in Singapore and the plus and minus of each service. Services like Pandora which is the Grandaddy of music streaming or Spotify check your IP location so you can only access them through a VPN. Grooveshark has been around for a couple of years, and is possibly one of the best services currently available with unlimited playback and playlist creation capabilities, and a library size of over 15 million songs in the library. Grooveshark provides a few playlists of their own, such as the most popular music of the moment, and also allow you to create and save your own playlist. It has a easy to operate user web interface, and definitely more feature-rich than HypedMusic. The new Grooveshark app is available from their website or just use the HTML5 enhanced mobile website client (supports Android, iPhone and iPad). Asian, Chinese Songs coverage: Good! We did a few searches of popular artistes and song titles and were able to find all of them. It supports unicode, so you can type the title in Chinese. For the negative points, some of the music are labelled wrongly or points to other versions such as remix of the original song. I guess this is in part due to users uploading the wrong MP3s. And if you used the web-based version, no download or offline mode available. 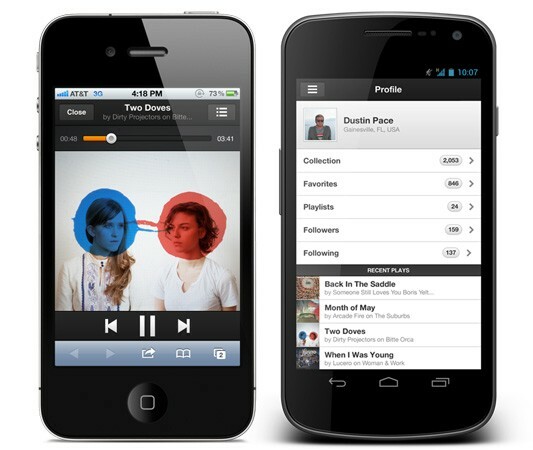 Overall, Grooveshark is an established streaming music website that does its core functions well. Users can listen to whatever they want, whenever they want, for as long as they want, and its all for free. And since Grooveshark is available as a Web app, the same account can be accessed via anywhere. Yes, there is quite a big concern over the legality and thus, I would not recommend that you upload your MP3s to Grooveshark, instead, just use it as a web-based music player and to discover new tracks. Please give it a pass. While music does work, there are many ads and playlists are paused after every song to listen to an advertisement. Annoying. 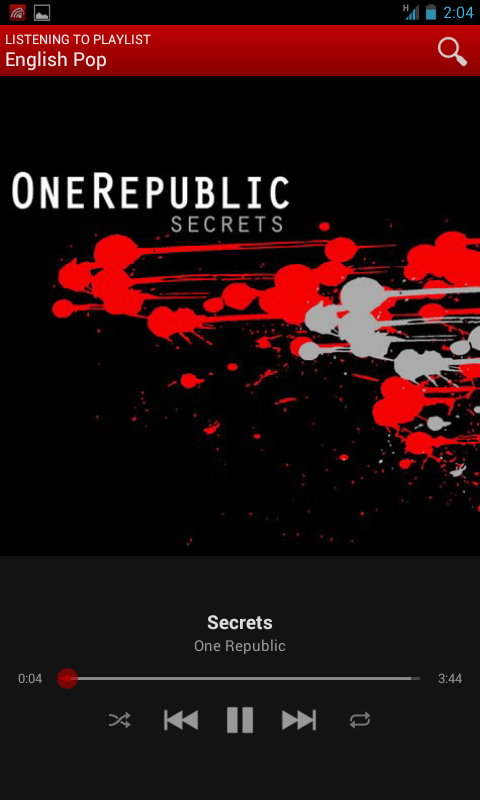 Hypedmusic offers an easy and convenient way to users to build playlists and listen to millions of songs completely legally, for free. The songs are obtained or scraped through other services such as Tumblr and SoundCloud. You can read up more on the legality issue from their website if you are concerned about that. Also, if you own an Android phone, there’s an application for it to allow you to stream music to your device as well as to keep an offline copy to help keep data usage down. The google play link is here, and the iPhone app is expected to be released in the later part of September. HypedMusic uses the facebook login system, which allows playlists to be connected from the site to the app, so your playlists can be easily maintained and updated. If you do not wish to, HypedMusic would still work without logging in as well. Generally, finding songs are easy, just type the title or artist into the search engine and click on them to either 1) play or 2) add to a pre-existing playlist. The song options are decent but you would have more luck with English or International songs at the moment. The database does include Chinese and other Asian music (Korean, Japan) but you would have to search for their English names or titles, like Jay Chou, or SNSD, etc. Overall, asian and chinese song coverage, average for now, mainly due to the inability to search in the native language. The web-based music player is a little too simple for my liking with just three buttons (play/pause, skip backward, skip forward). I miss a shuffle button. The Android player does have shuffle though and it allows playing in the background. The app would appear in the notifications bar if a file is playing and you can use the notification to return to the app to control the playlist. Allow searches in unicode font. The database already have the songs, so hopefully its just an html parsing issue. Add a shuffle button to the web-based player. A recommended playlist. It could be as simple as a top 20 list or a Pandora like system to recommend songs based on your listening preference. 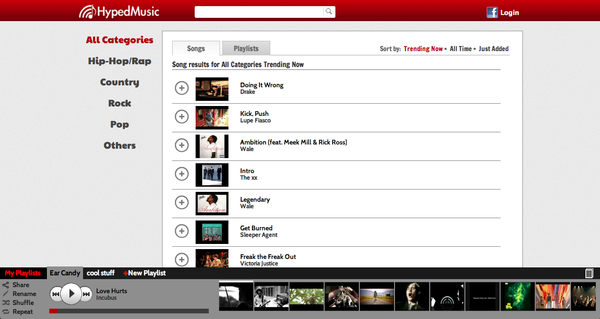 Remove duplicates in searches and to prioritise the songs in terms of quality. Social! It would be great if we can share playlists with our friends. More sorting options. Sort songs by album. If you are Singaporean and a Singtel subscriber, you may wish to check out Amped! 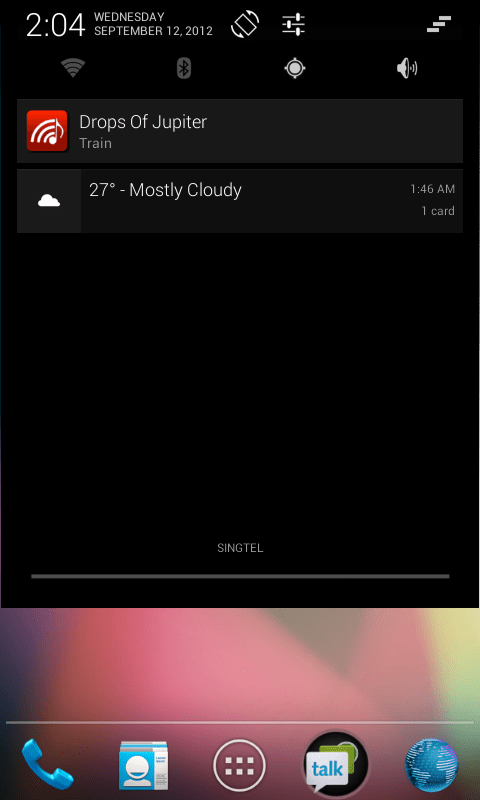 (http://www.singtelamped.com/). The subscription comes free with my two years mobile contract and provides unlimited mobile streaming to the desktop and mobile device. The good thing is that you can actually download a certain number of MP3s per month and share (i.e. DRM free) if you desire. We like GrooveShark, but perhaps cos of the legality concerns surrounding it, our plug is actually for HypedMusic. Notwithstanding their underdog status, it is easy to use, android app comes with an offline mode, has a clean and user-friendly interface with quite a fair bit of promise of features and things to come. Well, support the new start-ups! If you want to find a way to listen to your OWN MP3 library, do check out Google Music, which is an easy way to setup your cloud music library.